Lahore is popularly acknowledged as the city of gardens, some of the gardens are newly constructed but the main beauty of the city is with its historic gardens which are still well maintained and give a charismatic visual appeal to the visitors. Shalamar Gardens, sometimes called Shalimar Gardens were laid out as a Persian Paradise Garden. 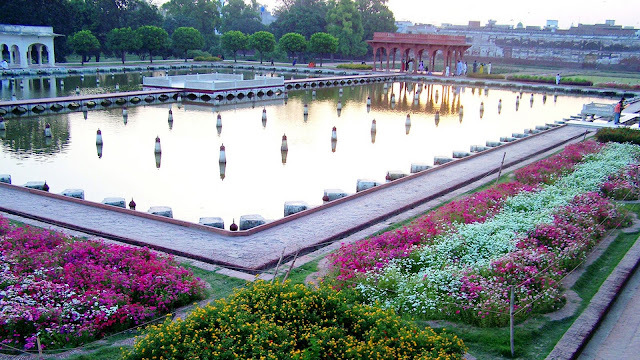 It is actually a Mughal garden complex located in Lahore Pakistan. 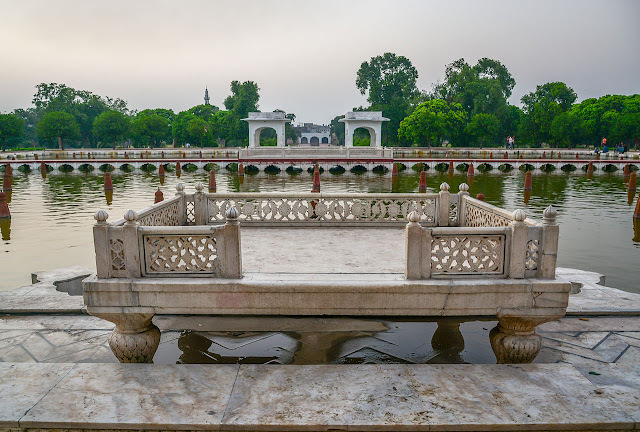 The Shalimar Gardens are located near Baghbanpura along the Grand Trunk Road approximately five kilometers northeast of the main Lahore city. In 1637, the reign of Emperor Shah Jahan (who was known for his love for nature and construction) ordered to construct a garden in the Lahore, the capital of Pakistan province of Punjab. It took 4 years to complete in 1941, measure 658 meters cover an area of sixteen hectares. In 1981, Shalimar Gardens was included as a UNESCO World Heritage Site along with the Lahore Fort, under the UNESCO Convention concerning the protection of the world's cultural and natural heritage sites in 1972. The Mughal garden is symbolized by enclosing walls, a four-sided layout of paths and features, and huge amplitude of flowing water. 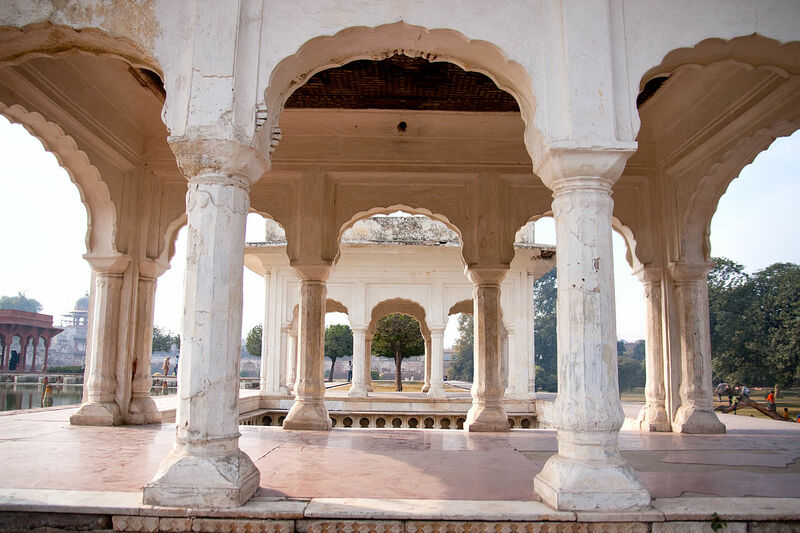 Moreover, Shah Jahan father “Emperor Janghair” also built a Shalimar Garden in Kashmir. 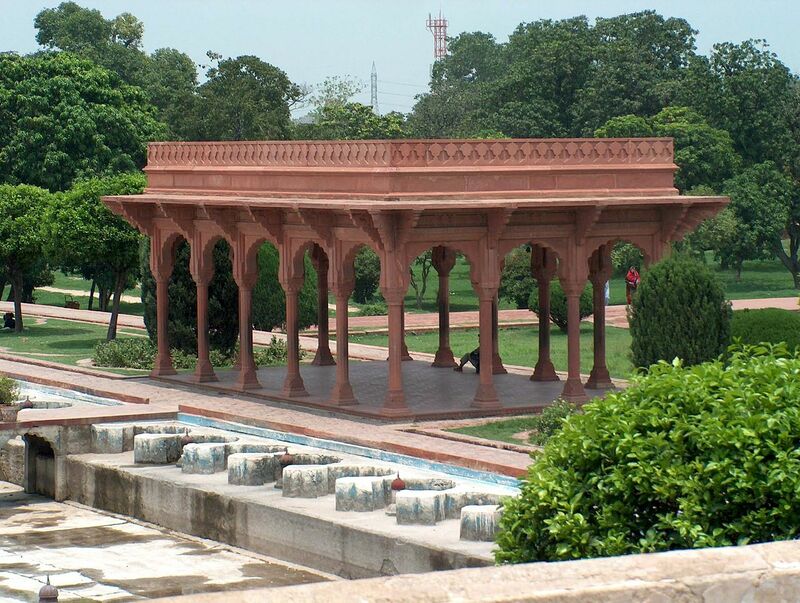 Hence Lahore Shalimar Garden is mainly influenced by Kashmir Shalimar Garden. The gardens have been laid out from south to north in three levels of terraces, The upper level or the third terrace named Farah Baksh meaning Bestower of Pleasure. The middle level or the second terrace named Faiz Baksh meaning Bestower of Goodness. The lower level terrace named Hayat Baksh meaning Bestower of Life. Shalimar Garden is one of top tourist attraction in the city which has historic relevance. This extreme collage of nature and constructional artwork was accomplished under the project management of Khalilullah Khan who was a renowned noble of the Emperor’s court. 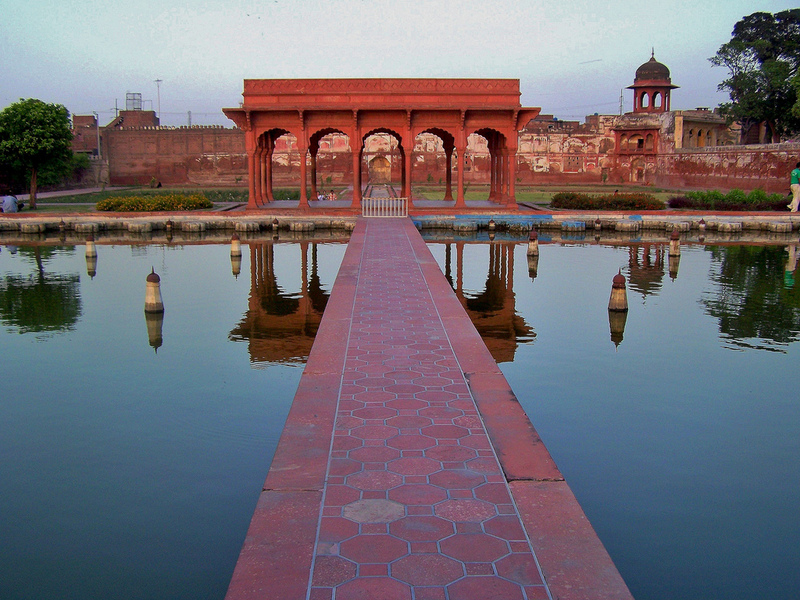 Shalimar Gardens draws inspiration from Central Asia, surrounded by a high brick wall, which is famous for its intricate fretwork. This garden was made on the concept of a Persian paradise garden, from the canal, rise 410 fountains, which discharge into wide marble pools. 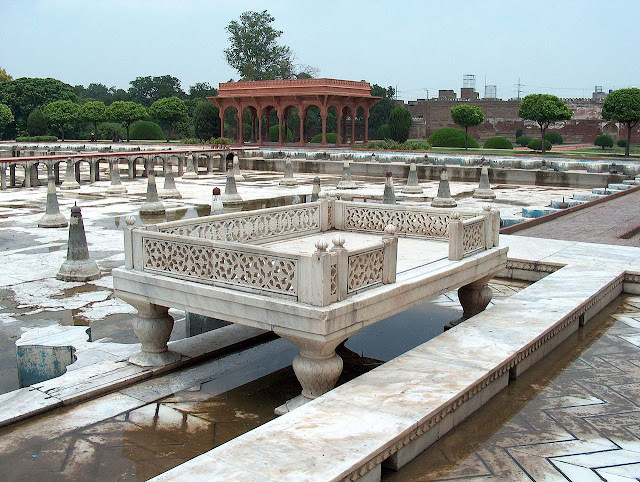 It is a credit to the creativity of Mughal engineers that even today scientists are unable to fully comprehend the water systems and thermal engineering from architectural blueprints. The surrounding area is rendered cooler by the flowing of the fountains, which is a particular relief for visitors during Lahore's blistering summers, with temperature sometimes exceeding 49 °C. The fountains are the major highlight of the place which gives an enthralling feeling when they’re all in full swing. Amazingly, the garden has water through the fountains discharges itself into the exceptionally tremendous white marble pools. 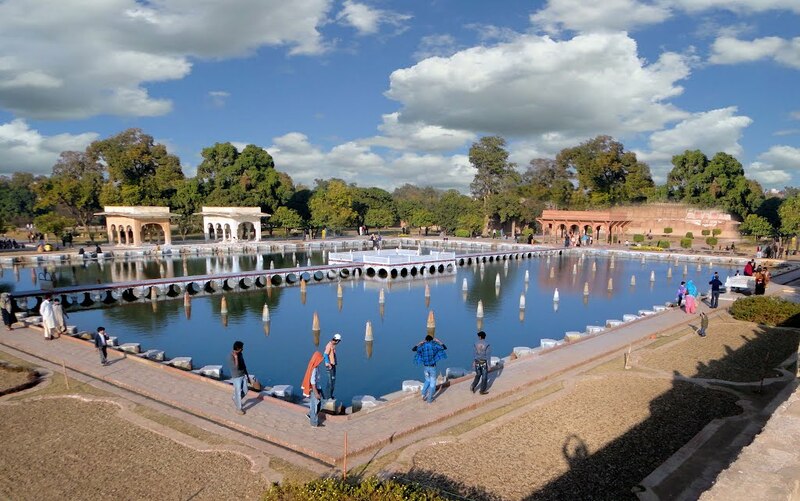 It was well engineered in ancient times and all the credit for such an impressive fountain system goes to the Royal Engineers and the Mughal Emperor Shah Jahan for coming up with this masterpiece of work. The incredible engineering feat was so brilliant that even the contemporary engineers of these days find it hard to comprehend the associated water system of the fountains even by referring the architectural blueprints of thermal engineering. The Gardens have 5 water cascades including the great marble cascade and Sawan Bhadoon. There are several different types of trees in Garden, some of varieties of trees were planted like Almond, Apple, Apricot, Cherry, Gokcha, Mango, Mulberry, Peach, Plum, Quince Seedless, Sapling of Cypress, Shrubs, Pomegranate, Sour and sweet orange. Futhermore, a lot of other varieties of odoriferous (fragrant) and non-odoriferous and fruit giving plants adding the beauty of this Garden. 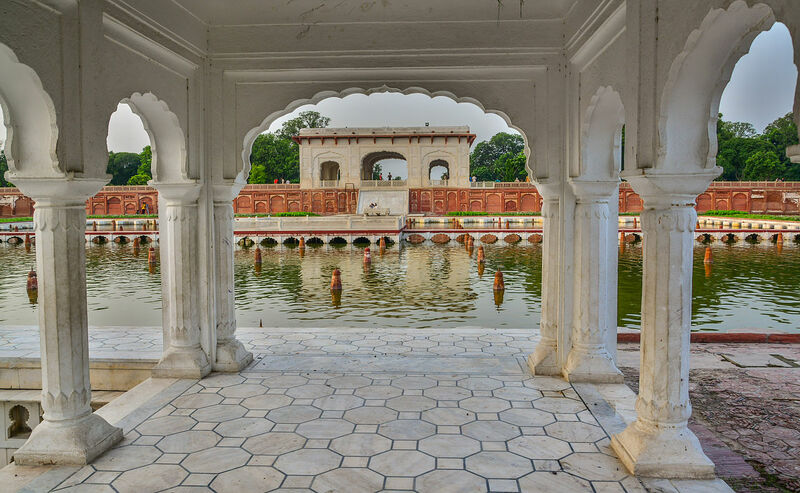 The Shalimar Gardens are not just all about greenery and fountains but it also has a range of buildings with stunning architecture which is worth having a look at. The buildings were constructed for different purposes that serve the Royal family and the visitors of the time as well. The building structures in the Shalimar Gardens includes, Sawan Bhadun Pavilion, Aiwan (The Grand Hall), Hammam (The Royal Bath), Naqar Khana, Aramgah (The Resting Place), Begum Sahib Khawabgah (Bedroom of the Emperor’s wife), Diwan-e-Khas-o-Aam (Hall for the ordinary and special visitors to the Emperor), Baradaries (The summer pavilions for enjoying nearby fountain coolness), 2 Gateways and minarets situated at the corners of the garden. 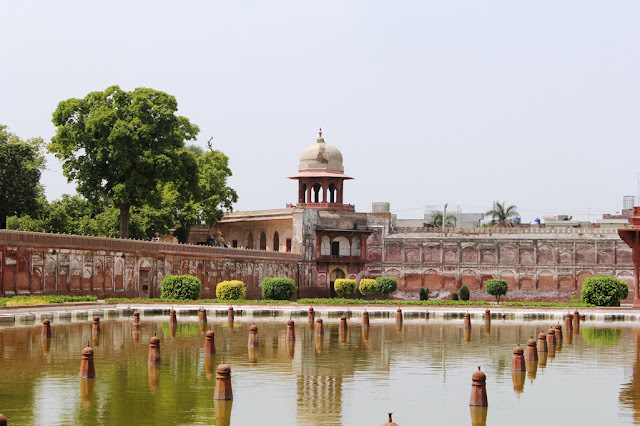 Hence whenever you plan to visit Lahore, the don’t miss out Shalimar Garden, although it is an exceptional place and lots of work needed to be done for its proper preservation and timely maintenance work. There is a very stimulating attraction for all those who want to explore the military history of the Netherlands. 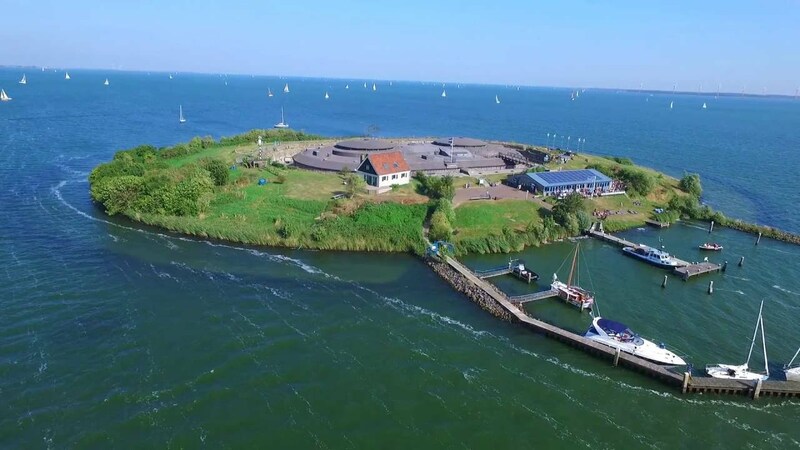 The Fort Pampus, situated outside Amsterdam in the municipality of Muiden. Pampus is an artificial Island, part of Defence Line of Amsterdam belongs to the municipality of Gooise Meren. 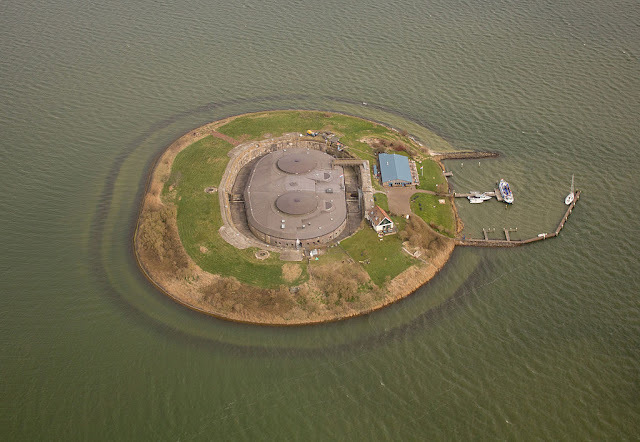 A late 19th century sea fort is also located in the IJmeer near Amsterdam. In 1996 UNESCO designated the entire Defence Line with its 42 forts a World Heritage Site. 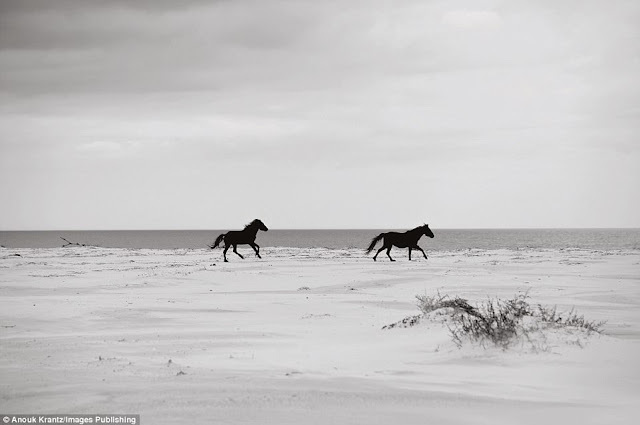 The construction work started in 1887 and creating the island and fort prerequisite the sinking of 3,800 piles and the importation of 45,000 cubic meters of sand. It took the Dutch eight years and ƒ 800,000 to construct the fort. The oval shape fort built of bricks and concrete. There are three floors in the main building, while on the ground floor were the troops quarters, kitchen, laundry, coal fired steam engines, dynamos, telegraph, first aid station and magazines. 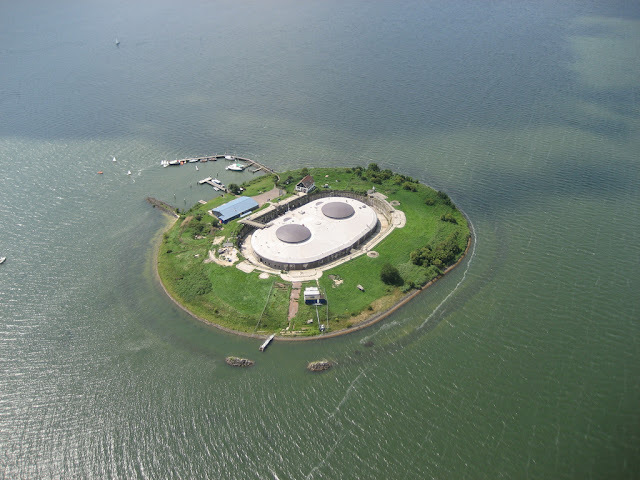 It is an island transformed in a fortress that served for various purposes before and after the First and Second World War. The fort is on a man-made island situated on what was the Pampus shallows or sandbank in the then Zuiderzee. There is a well-known Dutch expression "laying for Pampus" used to describe people that are lying down knocked out. 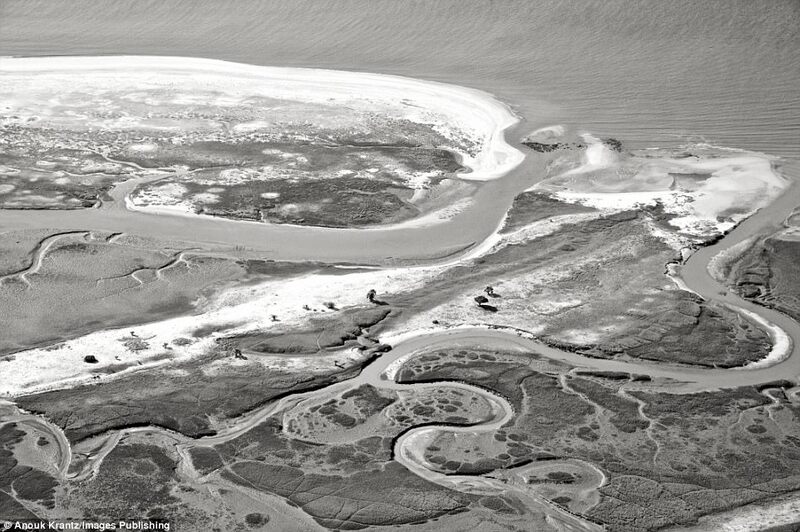 It stems from the time ships had to wait for high tide at Pampus before they could enter the harbor of Amsterdam. Moreover, an 8 meter dry moat surround the building, and north and south tunnels connect the ground floor of the building to the concrete counterscarp. The fascinating fact about this network of defense is that the Dutch managed to use the traditional water controlling system, consisting of flooding, canals and locks, for fighting the enemy. The fort was commissioned in 1895. It was armed with four Krupp 240 mm L35 guns deployed in two hydraulically operated cupolas of two guns each. Electric lifts brought shells and cartridges up from the magazines on the ground floor. These guns fired a shell of 280 kg for a range of up to 8KM. Each gun had a crew of an NCO and six gunners, who could get off one shot every six minutes. 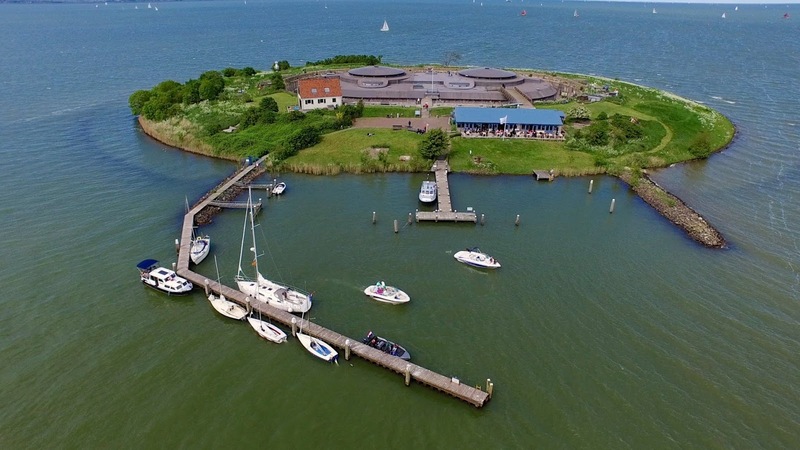 Pampus was one of only four forts in the Defence Line armed with large caliber guns. Pampus also had two positions for 57mm quick-firing guns for close-in defence. The counterscarp held four M90 Gardner machine guns on garrison mounts for the defence of the moat. Pampus had facilities for a permanent garrison of 200 men. In 1926 the fort received emplacements for three anti-aircraft guns. The fort never saw action and the completion in 1932 of the Afsluitdijk lost its strategic role and in 1933 the military abandoned it, after having removed the anti-aircraft guns. There were some plans in 1950’s to site an anti-aircraft battery there, but the fort was declared surplus in 1952 and was transferred to the civilian authorities for disposal. Then in June 1985, the government scouted the fort with an eye to restoring the island and makes it accessible to the public. 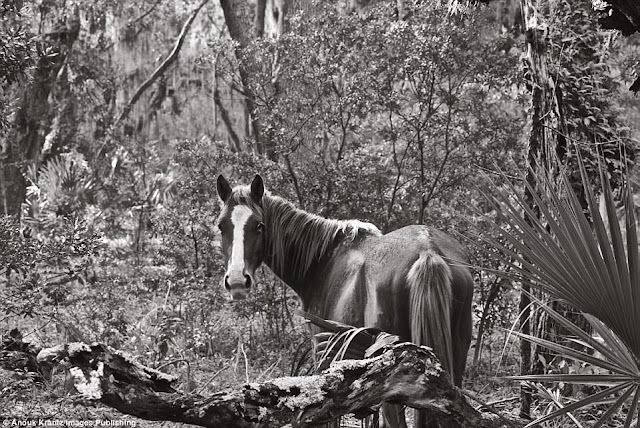 Although, the Foundation bought the fort in 1990, and in 1992 the fort received a caretaker. Since then the fort has been occupied continuously. There is still one gun at Pampus, an 88 mm from a German minesweeper that was wrecked during storm in 1917. The gun was installed at the harbour of Pampus on 4 February 2003. Fort Pampus was restored in 2007 and opened to the public that was able to admire and discover all of the historical features of the building. 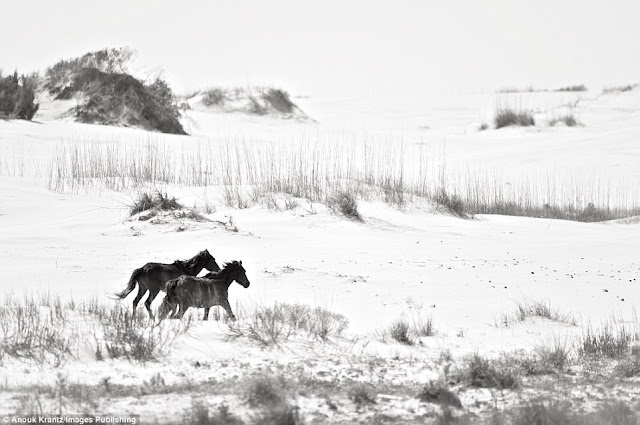 It is open to the public from April to October, Tuesday to Sunday. The island is approximately three kilometers from the coast and the Muiden ferry takes around 20 minutes to get there. There are also direct ferries from Amsterdam, and one can reach the fort by private vessel. Strawberry Crater is a cinder cone volcano, more than 1,000 feet high, in the San Francisco volcanic field, 20 miles north of Flagstaff, Arizona, along Forest Road 545 in the Strawberry Crater Wilderness. The cone shape and the reddish cinders that created the cone resemble a giant strawberry. 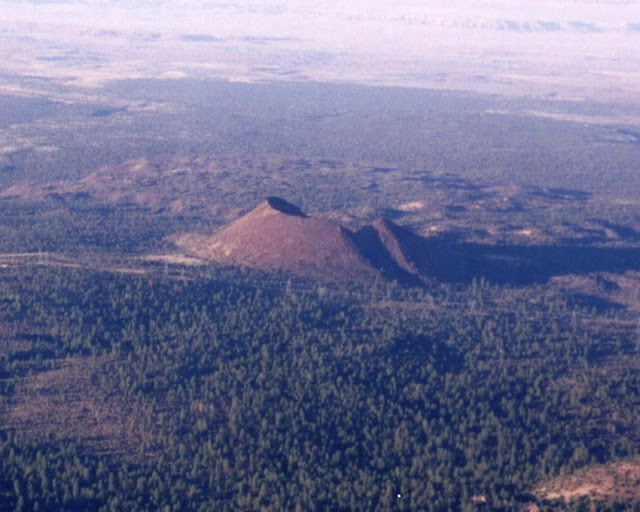 Although, many of the surrounding cones are better known, taller and younger Sunset Crater in the adjacent Sunset Crater National Monument. 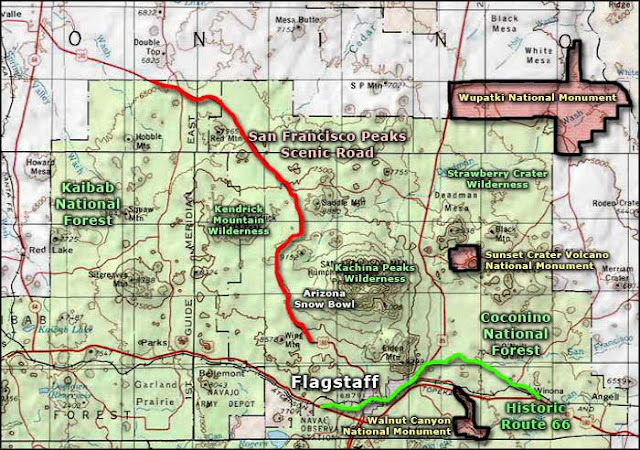 The Strawberry Cone wilderness area covers 10,743 acres, comprising of cinder cones, hills, and arid terrain. It is thought, the surface landforms are 45,000 to 100,000 year old. 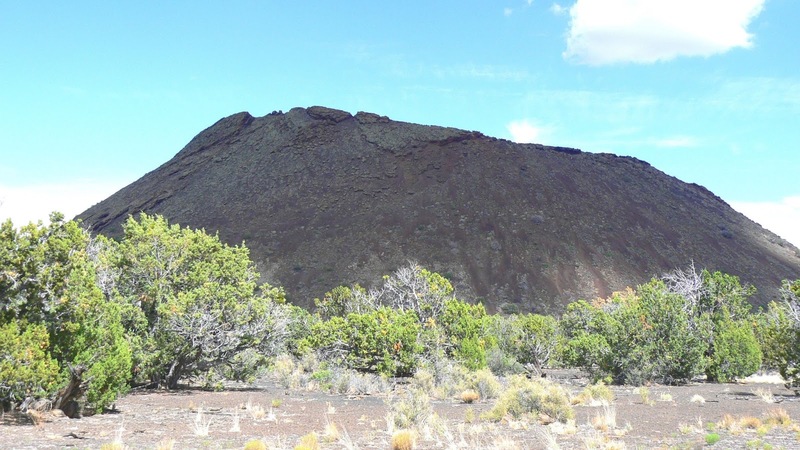 The Strawberry crater height is about 6,526 and base elevation is 5,500 feet. It lies in a volcanic field, covered with lava flows and southern end is filled with low cinder cones. Moreover, professional says that Strawberry Crater is comparatively young compared to other craters in the United States. 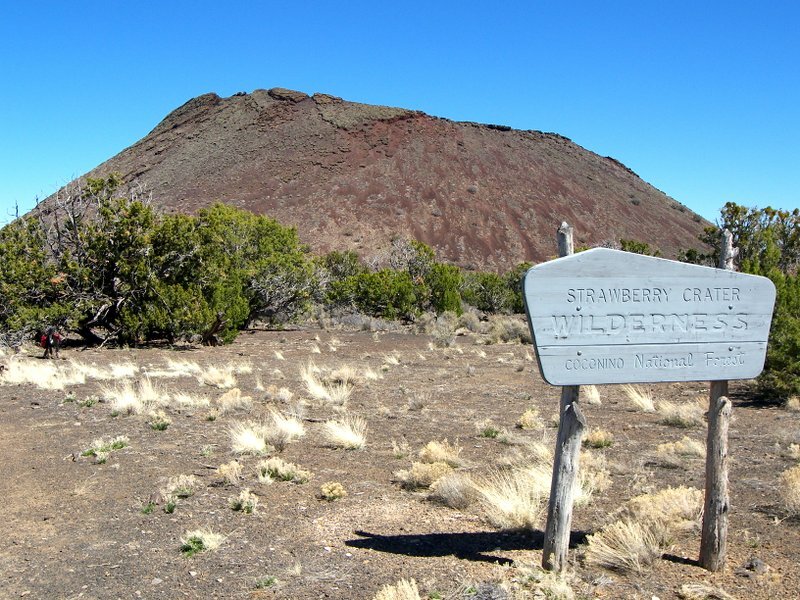 Strawberry crater was formed from volcanic eruptions around 800 and 1604 B.C. There were several volcanic periods, during which multi-colored rocks were deposited on Earth's surface. There are numerous different paths leading to the strawberry crater, but there is only one trail that is marked. 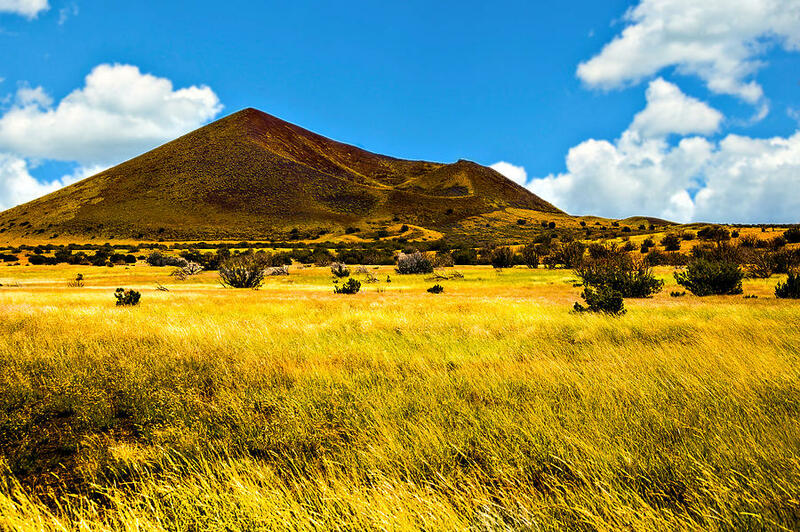 Surrounding the crater, there are rolling cinder-strewn hills with a variety of different plants from pinons to junipers. At the top of Crater, one can see Kachina Peaks Wilderness, The Painted Desert, the Hopi Buttes, and valley of the Little Colorado River. Recreation activities like hiking are open year round. 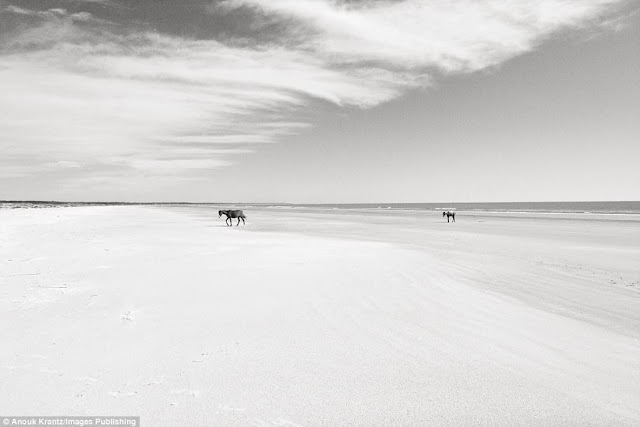 However, in winters near the crater average to around 50 degrees, though summers tend to be very hot and dry. The dry area has very few natural water sources near the hiking trail, so travelers are highly suggested to bring enough amount of water. Moreover, around the actual crater, there are low walls of stacked rock. These walls are said to be Native American constructions. There are also remnants of ancient gardens where inhabitants used volcanic cinders for water-retaining mulch. 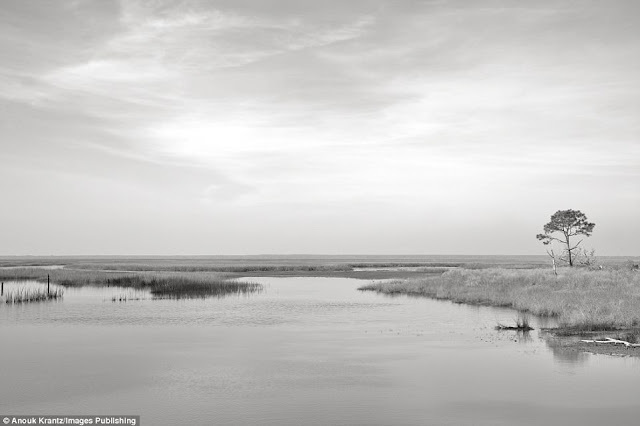 Plentiful ruins scattered across this unwelcoming landscape prove the resourcefulness of an ancient people who lived here even as the land still fumed and spouted. In places you can also see remnants of the gardens they cultivated using volcanic cinders as water-retaining mulch. Well, the charming cumberland Island is home to east coast America's only really wild horse herd. 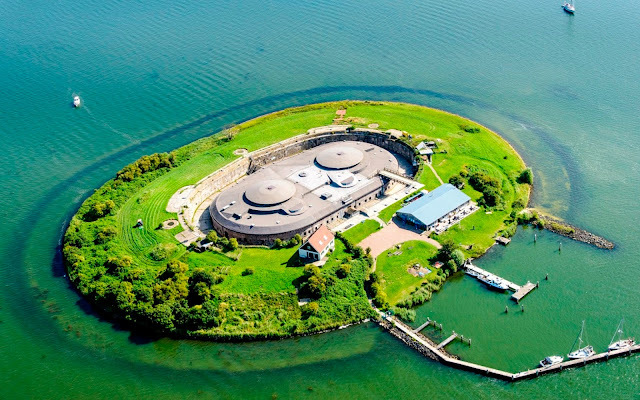 The serene abandoned island was once home to the super-rich Carnegie family, who bought it in the 1880s. The Cumberland Island’s over 150 horses are descendants from domestic horses used in local Civil War battles. 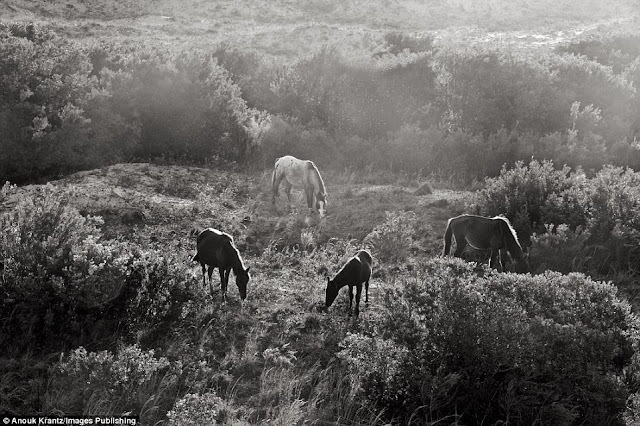 The Horses are par for the course in the Wild West, but there are a few roaming the wild east of America as well. The off to Atlantic coast of Georgia is home to the only unmanaged feral herd of horses on the east coast. 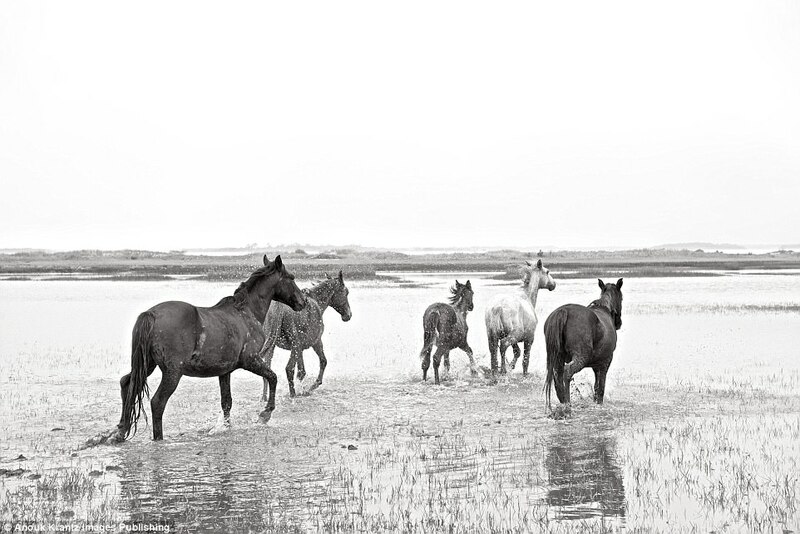 The area is pretty much deserted, the island’s former grand inhabitants have moved on but the horses have remained. Recently they have been snapped, over a decade of visits, by French photographer Anouk Masson Krantz, for the soon-to-be released book Wild Horses of Cumberland Island, published by Images Publishing. 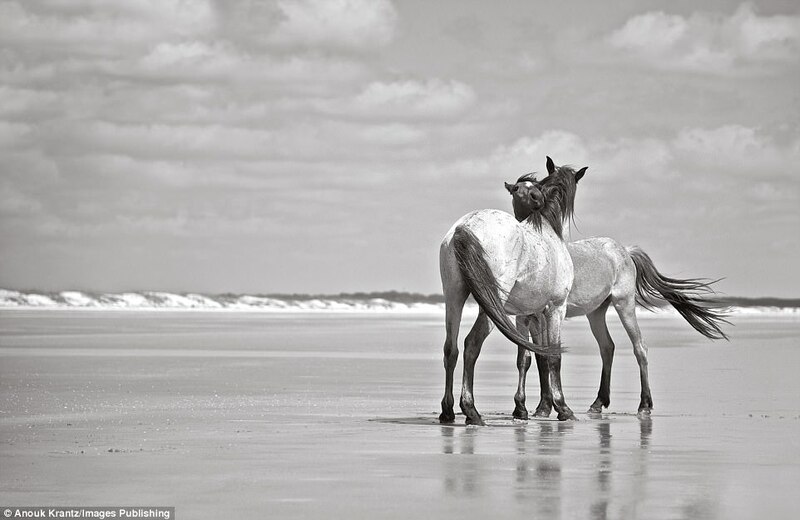 The Cumberland Island is made up of white sand beaches, immense rolling dunes, old growth maritime forests and a salt marsh tidal estuary. It’s only reachable by boat and there’s only one hotel to choose from - The Greyfield Inn, one of the few buildings on the island that isn’t a grandiose ruin. 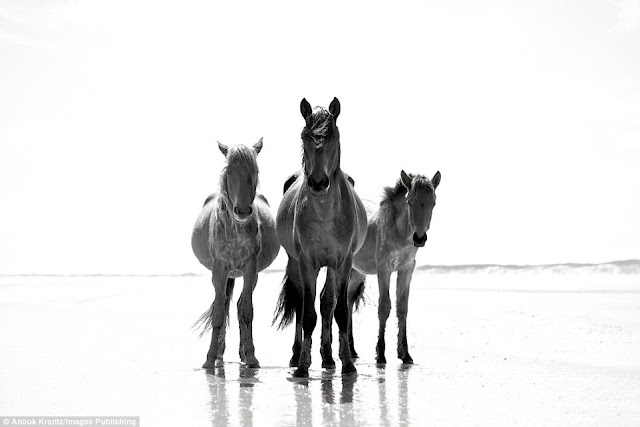 More than home to 150 wild horses, the island has had a cheered history. It is well believed that horses first would have arrived with Spanish settlers in the 17th century. 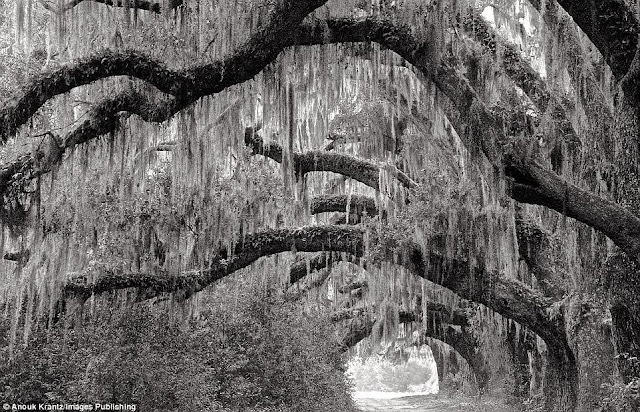 There were plantations and Civil War battles there in the 19th century, however after that the wealthy Carnegies bought most of it in the 1880s. 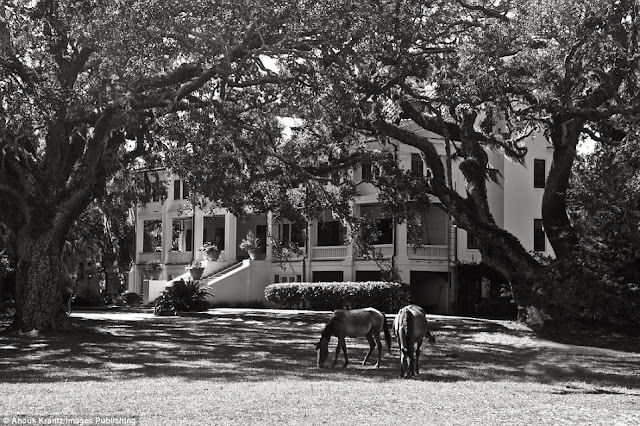 Therefore, the legendary industrialist family lived there with their own horses but it was sold to the National Park Service in 1972. A descendant of the original owner, Thomas Carnegie, Oliver ‘Mitty’ Ferguson runs the island's hotel. 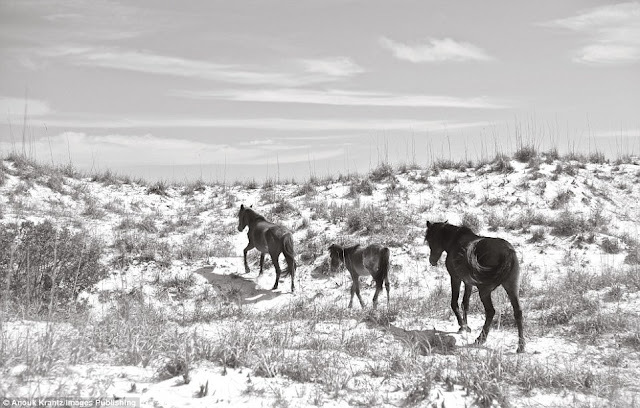 The Cumberland horses aren’t native to the island but as they are descended from domestic breeds, it's said their ancestors must have escaped during the Civil War. 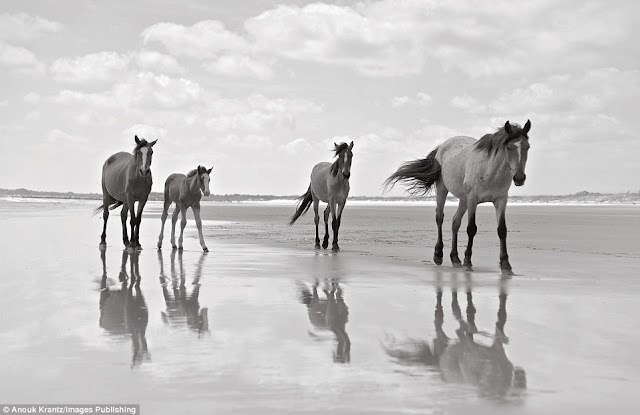 If you are horse lover, then you must see horses taking free rein of a treasured environment in a sparkling set of pictures.